These days Bad Arolsen - the 'Bad' meaning that it is a spa town, not, well, bad - is a small town somewhere in the northern part of the German state of Hesse. 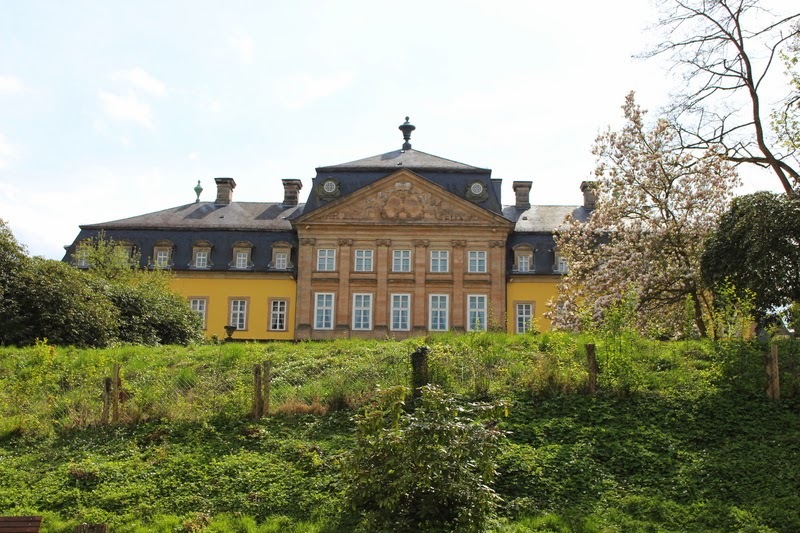 Once upon a time, between 1655 and 1918, however, it was the residence of the Counts and later Princes of Waldeck (and Pyrmont) and as such features a number of castles including the Residenzschloss Arolsen. The Residenzschloss owes its existence to Prince Friedrich Anton Ulrich of Waldeck and Pyrmont (1676-1728). Around the time of his elevation to the rank of a prince in 1712, he decided to expand his domestic situation to better reflect his new status. Thus, he had a previous Renaissance castle on the same site torn down and starting in 1710, a Baroque palace - modelled after the Château de Versailles - was built. Considering that the Principality of Waldeck and Pyrmont wasn't the biggest of German states, his plans were kind of oversized from the beginning and due to his family's financial situation, the residence was only finished about 100 years later by his grandson. Prince Friedrich Anton Ulrich commissioned architect Julius Ludwig Rothweil to construct his new Baroque masterpiece in Arolsen. Previously he had already torn down another castle in nearby Korbach with the intention to build a Baroque palace in its place. 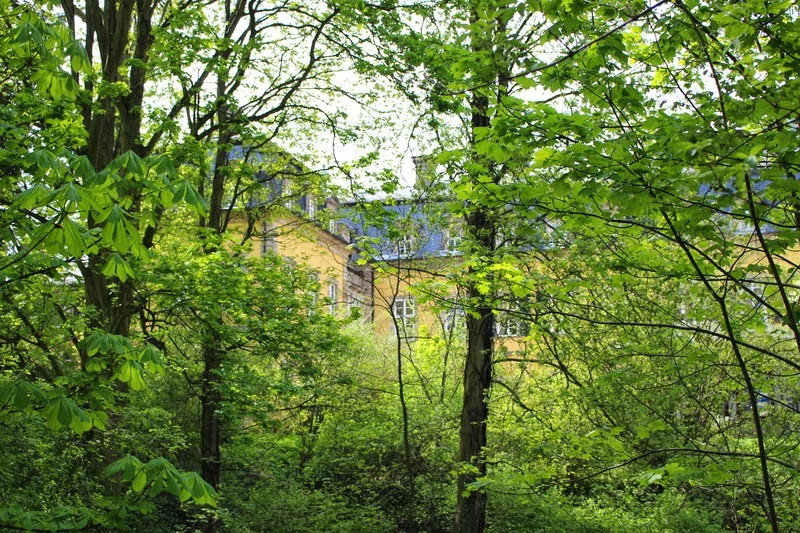 While the construction works had already started, the palace in Korbach was never finished due to the refusal of the town's citizens to sell Friedrich Anton Ulrich more land. So a new palace was built in Arolsen. The first main building period took place between 1710 and 1728. While its exterior is typically Baroque, some of the interior already features aspects of Roccoco architecture. The first of the three wings of the Residenzschloss to be finished was the eastern wing. Prince Friedrich Anton Ulrich and his wife, née Countess Palatine Christiane of Zweibrücken-Birkenfeld, moved into the wing in 1720 while the others were still under construction. After the construction of the palace was officially finished in 1728, it still took decades until all the furnishings, furniture and décor was finished. It is often said that the construction of the Residenzschloss was only completed in 1810 under the rule of Prince Friedrich Karl August, grandson of the aforementioned Friedrich Anton Ulrich and Christiane. The interior of the residence palace features loads splendorous Baroque stucco by Andrea Gallasini and ceiling frescos by Carlo Ludovici Castelli in most rooms - who knows me, knows I have a weakness for stucco and frescos so needless to say that I really enjoyed them! The above-mentioned Roccoco influences can mainly be seen in the Red Drawing Room. One room I personally also liked very much was the Alhambra, an oriental room gifted to Princess Helene of Nassau upon her marriage to Prince Georg Viktor of Waldeck and Pyrmont. 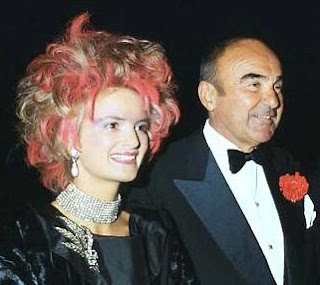 Helene and Georg Viktor were also the parents of the probably most famous member of the Waldeck and Pyrmont family, the future Queen Emma of the Netherlands, whose room can also be visited during a tour of the Schloss. 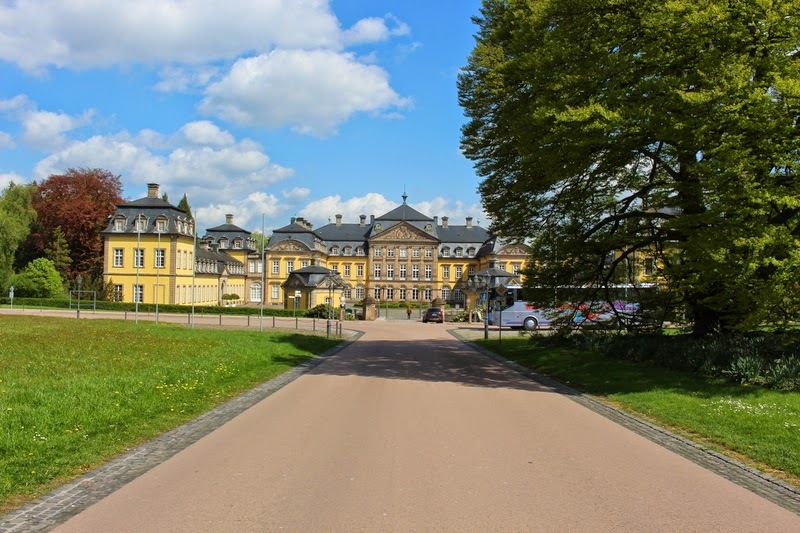 When the monarchy was abolished in 1918, a decade of negotiations began about who the owner of the palace in Arolsen was. 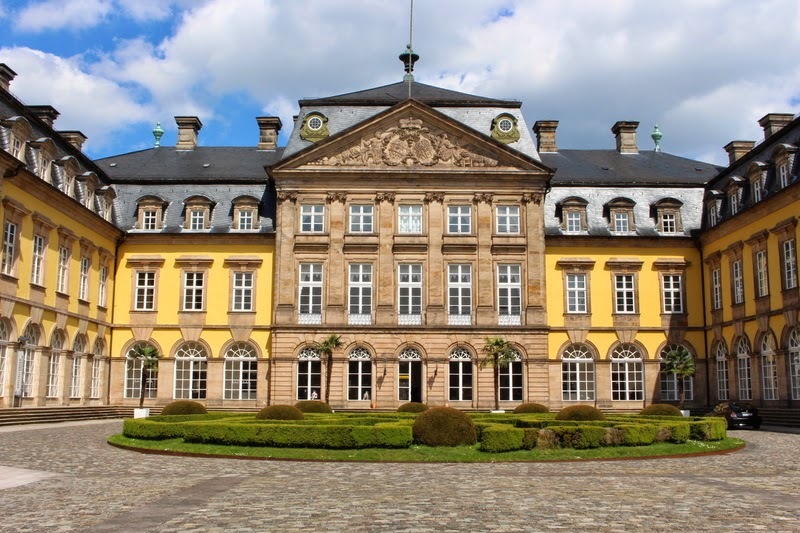 In 1929, it was agreed that Waldeck Domanial Administration would receive the Residenzschloss, other castles as well as the main share of the forests owned by the Princely Family. In return, they were granted the hereditary right to use the eastern wing of the palace as their home. While the building is thus now owned by the administrative district of Waldeck-Frankenberg, the furnishings and art collection that adorn its interior are still owned by the Waldeck and Pyrmont family. The Prince of Waldeck and Pyrmont also calls the palace his home and manages the it. Between 1987 and 2009, extensive renovations were made to all parts of the Residenzschloss so that it might now be in the best shape it has ever been. 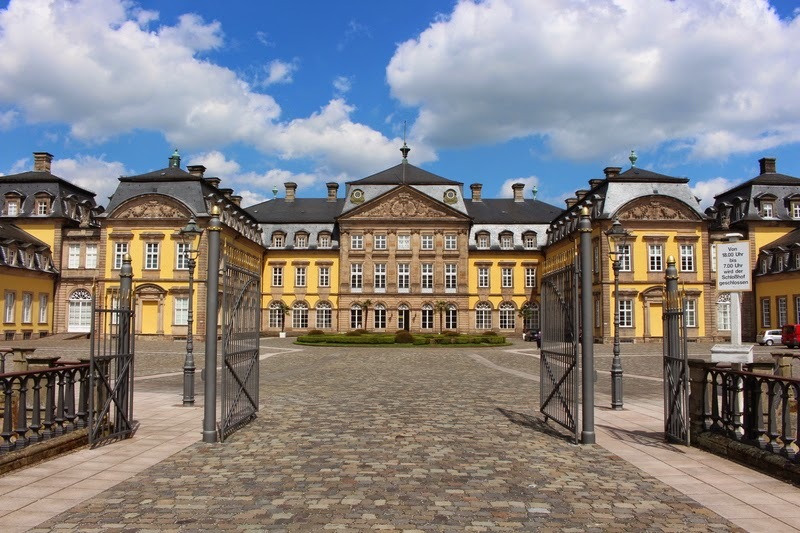 The Residenzschloss Arolsen is open to the public througout the whole year. From April to October, you can visit daily between 10am and 5pm; from November to March, from Wednesday to Saturday between 2pm and 5pm as well as on Sun- and holidays between 11am and 5pm. Admission per adult is seven euros. For more information, have a look here.